Believe You Can | Because Adult. I have to be honest, I’ve been having a really hard time the past few weeks. I touched on it briefly in a post a few weeks ago, because I thought I’d conquered it, but that was apparently only a temporary fix. It was barely a few days before my motivation took another deep dive into the depths of all-I-want-is-cookies. And then, last night, I hit a breaking point. I’ve mentioned a few times before that, although I’m pretty happy with the way I look now, and I’m most certainly healthy, I want to lose just a few more pounds because I want my lower abs to show. And, in the time following my half marathon, I started to get impatient. I was feeling the stress of having been in a “trying to lose weight” state for almost a year, and I really, really wanted to get to the “maintaining your weight” stage. So, I took drastic measures. I changed the settings on my calorie counting app to be at about a 400 calorie a day deficit. This may not seem like much, since most things you read will recommend a 500 calorie deficit (which I do not endorse), but because I’m so small this meant only about 1370 calories a day. In other words, not very much. Especially because I frequently get bored at work and look to (healthy) snacking to keep myself occupied. I was at a point where I’d see a 400 calorie recipe and think “no… that’s too much. I need it lighter.” Trust me, that is not a place you want to be. Plus, because I was eating so little of everything else, I felt like I needed to be eating sweets of some sort every day just so that I didn’t feel like I was in some kind of forced self-deprivation. But this meant I was saving calories I should have been using on quality food for admittedly yummy, but nutritionally valueless desserts. Plus, as a person who has nearly always been moderate with my sweets, it meant I was drastically upping my sugar intake which was leading to some pretty nasty cravings. Enter last night’s breaking point. This entry was posted in Be Happy, Believe You Can and tagged binge eating, calorie counting, calorie restriction, calories, cookies, diet, dieting, eat, eating, food, life lessons, motivation, self-restraint on November 14, 2014 by Because Adult. I have always been modest in the way that I dress. There were times, of course, where I’d put on a slightly more revealing outfit at home and be pleased with what I saw in the mirror. But as soon as I walked outside to where people could actually see me, I’d immediately get overwhelmingly uncomfortable and start adjusting things to cover more or add layers or even just keep my hands in strategic locations until I got an opportunity to change my clothes. And when I say “more revealing” here, I mean something along the lines of a skirt just a few inches above my knees and a shirt that shows maybe half an inch of cleavage. So in other words, a totally normal outfit. I knew my understanding of what was appropriate to wear was different from other girls’, but I never really thought much of it. I just said that I was “modest,” like that was a totally normal and healthy attitude. Now don’t get me wrong – modesty, when inspired by modesty, is certainly not a bad thing. But what I didn’t realize was that my modesty was not motivated by modesty; it was motivated by a very negative body image, and that is a problem. 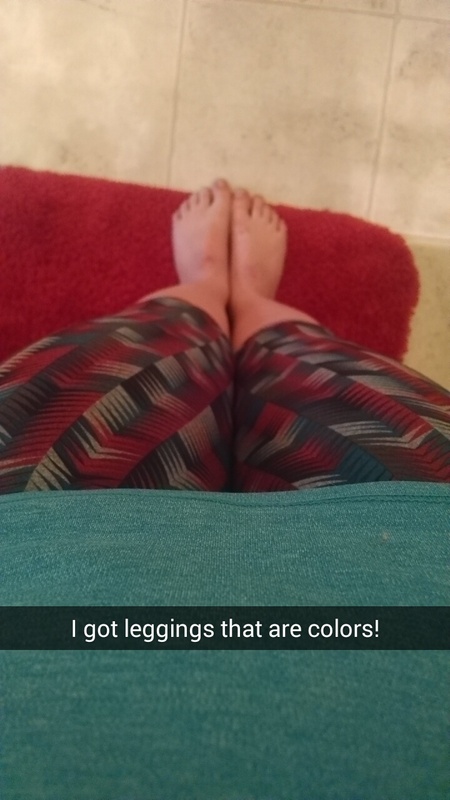 This entry was posted in Be Happy, Believe You Can and tagged body image, changes, clothing, confidence, confident, costume, goal, goals, halloween, misty, modesty, pokemon, slutty, wieght loss on November 2, 2014 by Because Adult.